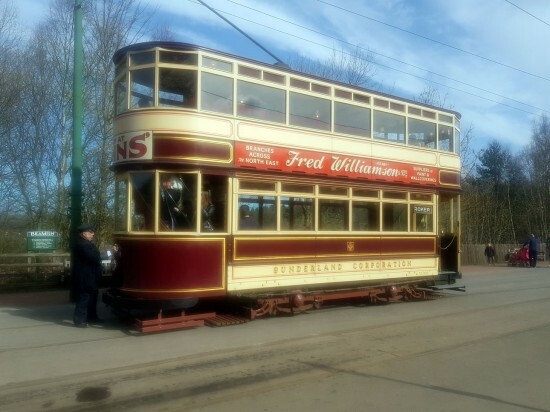 Having spent the best part of the last couple of months out of service with a failed resistor grid, Sunderland 16 made a welcome return to service at Beamish on Saturday 23rd March adding some extra capacity to the tram fleet just as things start to ramp up ahead of April’s Great North Steam Fair. 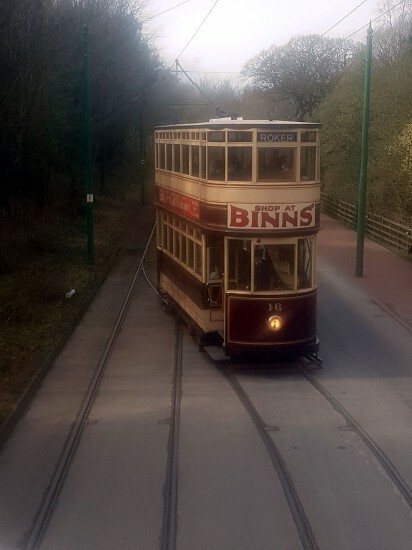 In those two months since it last ran there have only been three trams available for service – Blackpool 31, Newcastle 114 and Oporto 196 – which, particularly during the Half Term school holidays led to the tram service being stretched to capacity. 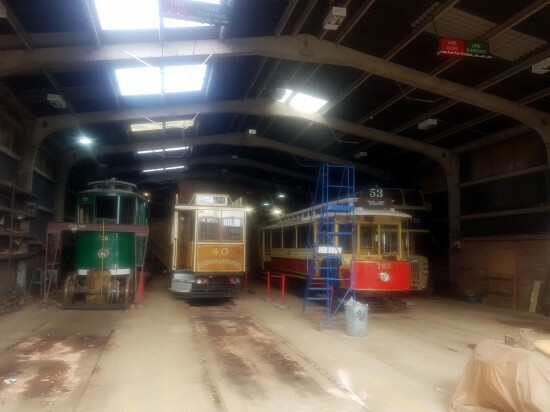 This led to the two visitors, firstly Manchester 765 and then Blackpool & Fleetwood 40, being used in service as part of their commissioning process but the plan is that these two wouldn’t fully be used in service until the Steam Fair gets underway. Now with 16 back running again it gives some much needed breathing space in capacity. Sheffield 264 remains out of service undergoing some planned maintenance work. 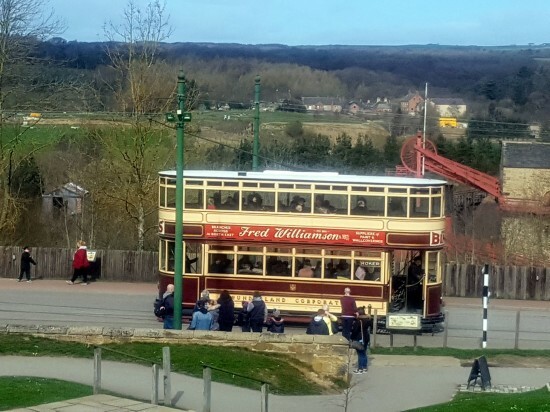 16 waits at the Entrance on 23rd March – its first day back in passenger service. 16 arrives at the Entrance. 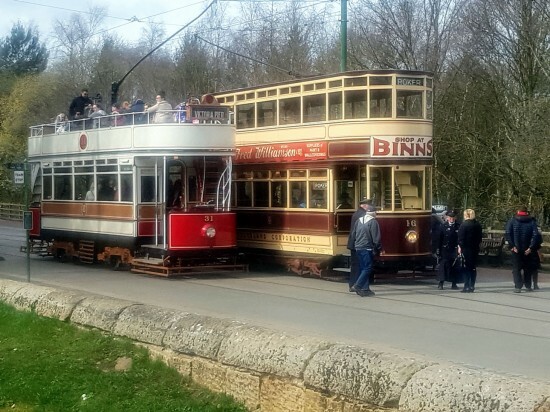 16 and Blackpool 31 are seen side by side. Looking down at 16 at the Entrance.